Steven (Chicagoland, United States) on 21 March 2019 in Plant & Nature and Portfolio. This is a fantastic photo with great details from the leaves. Très beau cadrage et graphisme naturel. Did you see any lipstick palm? Superbe eventail de verdure !! I like the point of view. It feels kind of whimsical seeing the spread of the leaves. These palms make a wonderful pattern. Very nice. This looks so artistic...Lovely image here ! Those radiating leaf patterns look lovely !! I like the spread of these palms. Their green looks very good too. The leaves are so majestic. They are just beautiful. I can see why the have the name "noble". A beautiful image. What wonderful palm leaves! they are perfect! Fantastic detail and color on this Psalm Steven. This frame is awesome, especially the fanned detail in the upper half. 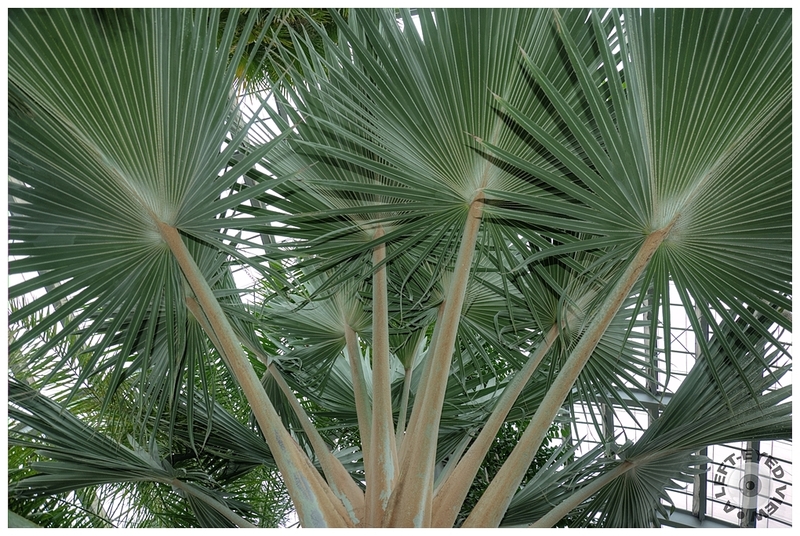 Beautiful palm fans on this spectacular tree. Wow... Magnifique angle de prise. Très très bel effet . A fantastic image of an amazing plant, Steven!! Beautifull lines and patterns!! Tout est en bon ordre et bien rangé sous cette serre. Very NOBLE, indeed, Steven, and worthy as a canopy over any reigning monarch! Espectacular captura, con lindo color y luz. ***** Saludos. It really is quite a stunning plant, fanning its arms as if waving. In fact, the plant has an imposing size and shape. Une explosion de feuilles sous cet angle ! Lovely shot, with amazing graphics! A superb photo! i like it! A lovely image, such a graceful plant - photographed with very pretty light!